Two things that really go together and showcase Portland to a tee: the blues and cider. Portland is renowned throughout the world as being a haven for world class ciders and that will certainly be the focus at the 7th annual Cider Summit happening Friday, June 16 and Saturday, June 17 at Fields Neighborhood Park, at NW 10th & Overton in The Pearl District. Over 150 ciders and cider cocktails will be at hand for your tasting pleasure, including many regional favorites as well as international classics. Additional features: Food offerings from World Foods, Cypress Grove Cheese, KRAVE Jerky, Ryan’s Juice, and others will also be on-site. Oregon Fruit Products Fruit Cider Challenge, featuring pilot batch fruit ciders from several participating cideries with consumer vote to determine champion. 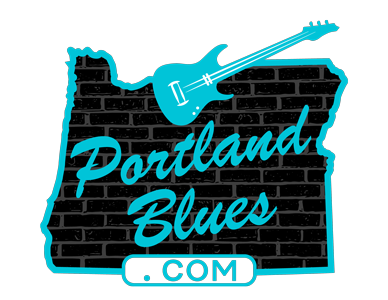 A Dog Lounge – hosted by DoveLewis and live music produced in conjunction with event beneficiary Cascade Blues Association featuring several of Portland’s legendary artists. VIP tickets are available online only and include a souvenir tasting glass, exclusive entry from 2pm-3pm on Friday and 10 tasting tickets. $35 if purchased before June 1, 2017, $40 if purchased after. Limited quantity available. General admission tickets include a souvenir tasting glass and 6 tasting tickets. $25 if purchased before June 1, 2017, $30 if purchased before June 16, 2017, $35 at the gate. Additional tasting tickets will be available onsite for $2 each. Designated Driver tickets will be available at the gate for $5 and include a bottle of water, but you may not consume alcohol with this ticket. This event is 21 & over only. Beneficiaries for this years Cider Summit are: Cascade Blues Association, Northwest Cider Association, DoveLewis Emergency Pet Hospital, The Institute for Myeloma & Bone Cancer Research.